Photo "Lotus in liquid gold..."
I would have cropped closer to the flower. 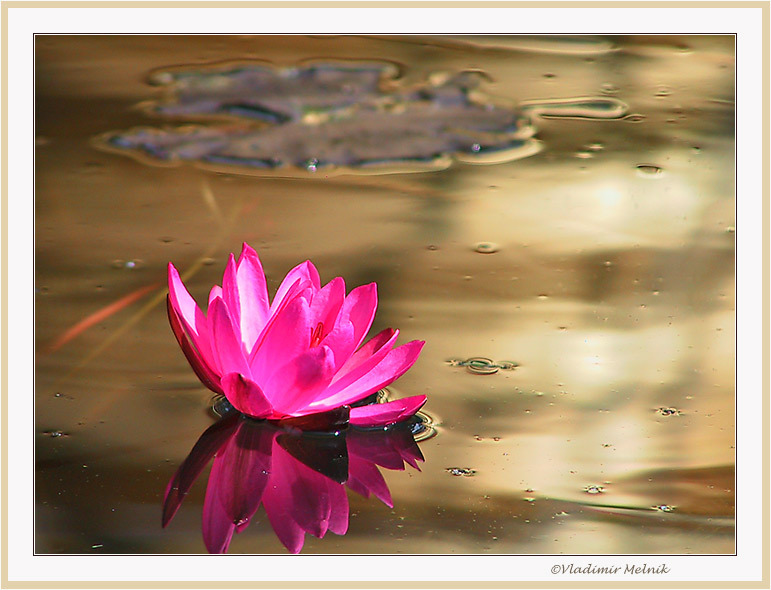 Beautiful waterlily, beautiful reflection and beautiful shot! Congrats!